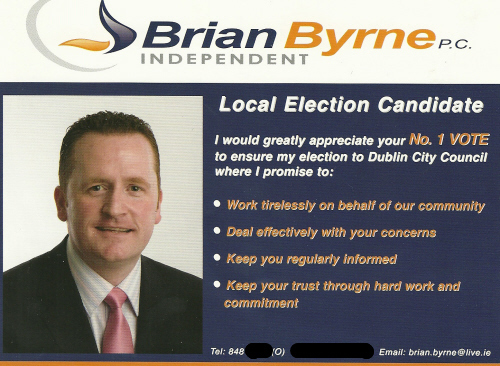 From the 2009 Local Elections a leaflet for Former Fianna Fail councillor Brian Byrne running as an Independent in Donaghmede. Byrne resigned from Fianna Fail claiming that the cutbacks in the Budget showed Fianna Fail had “lost touch with ordinary people and have failed to listen to their concerns”. 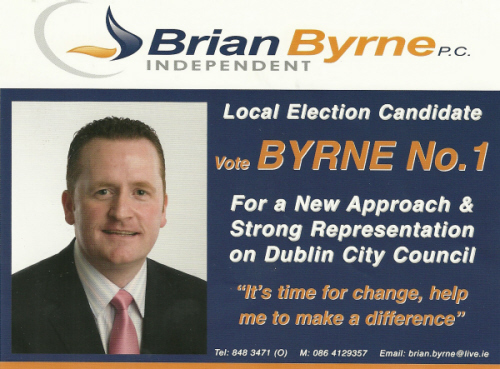 Byrne polled well with 1,202 votes but failed to get in.